Shaken, not stirred! Many martini connoisseurs believe that there is only one true martini which is made with gin and dry vermouth. 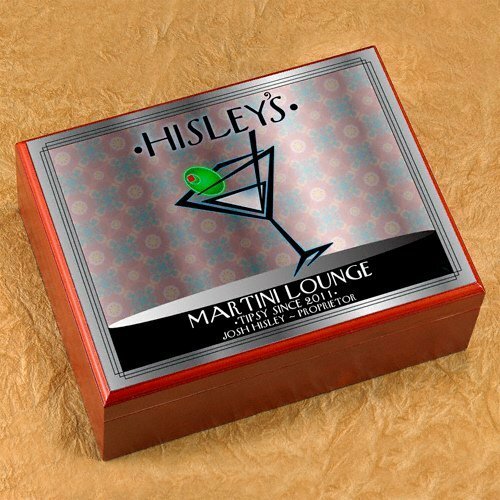 However they prefer theirs, this Personalized NY Swanky Martini humidor will make any martini drinking cigar enthusiast feel special! 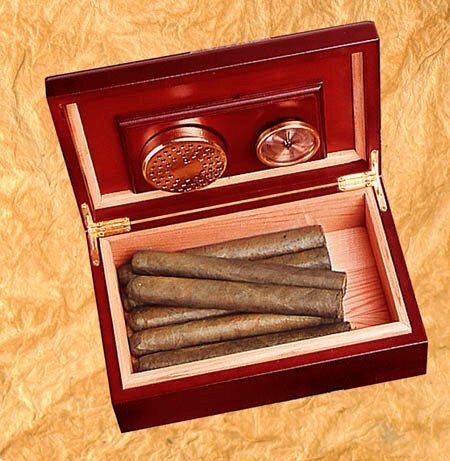 Retro humidor measures 9-1/2" by 3-5/8" by 7" and is personalized with first and last name of the proprietor and the year this lounge was established.